When people think of items of value they may have which can be converted into cash as the need arises, the first things that come to mind are usually traditional objects of value, such as jewelry and expensive electronic devices, or perhaps even collections of precious metal or gemstones like pearls and diamonds. While all these things are certainly commodities which can be pawned here at the biggest little pawn shop store in Arizona, we also accept items not commonly thought of as being valuable in the most accepted sense. What Do You Offer When we Pawn Musical Instruments? You can pawn musical instruments in Mesa, Arizona here at our pawn shop store, along with all those other items, because they will have value to us as long as they also have value to other people, in the event that we would eventually need to sell them. Of course, it doesn’t mean you have to sell your musical instruments outright to us, and instead you can certainly pawn them to generate fast cash if that’s what you prefer. In a three-month pawn loan agreement, we would advance you as much cash as possible, based on the actual value of the musical instruments that you bring to us, and in return we would assume temporary ownership of those items, while you are paying off the loan balance. Each month you would be responsible for paying off an amount equal to the interest plus the principle for that month, and by steadily paying on both of those, you would have a zero balance at the expiration of the loan agreement. If it any time you are unable to pay the entire monthly amount, you would have the option of paying on the interest only, in order to keep the loan in good standing, and the principle amount could be deferred to another month. While this could be theoretically done indefinitely, it would certainly be to your advantage to pay down on the principle as much as possible, in order to be progressing toward completion of the agreement. There would of course be no penalty, should you decide to pay off the loan early, and take ownership of your musical instruments again. What Do You Accept When You Pawn Musical Instruments? We accept many different kinds of musical instruments, including acoustic guitars, electric guitars, keyboards, pianos, drum sets, violins, saxophones, flutes, cellos, clarinets, and any other well-made items. While your musical instruments are under our care, they will be stored in a safe and secure environment, in which no damage comes to them, so they are in the same excellent shape as when you first brought them in. At the time that you resume ownership of your musical instruments, and you would be eligible to arrange another such pawn loan agreement at any time. 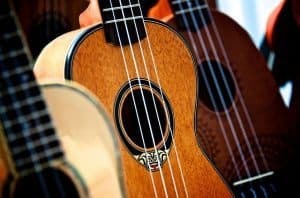 We invite all of our friends and neighbors from the surrounding area, including the communities of Chandler, Tempe, Scottsdale, Gilbert, Apache Junction, and Phoenix to hurry on down here with your musical instruments, or any items for a pawn loan, and get the most amount of cash right on the spot.